A fellow knitter recently commented that her set in sleeve pattern instructions looked “wonky”. There were 74 rows in the armhole opening and 62 rows in the sleeve cap. She thought the sleeve cap was “too short”. Taking a look at how a set in sleeve is inserted in the armhole, notice that the red line MUST be the same length as the green line. If the sleeve cap had an equal number of rows, it would be too big for the armhole! There are 3 common reasons for set in sleeve failure … learn to avoid them! Don’t let these discourage you or spoil your next project! 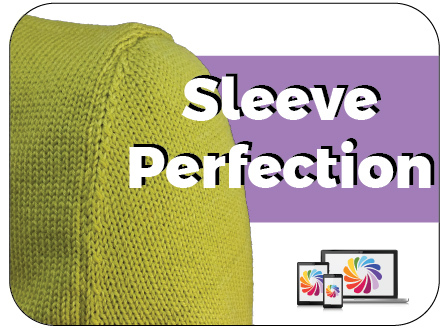 Take the Sleeve Perfection Course and MASTER set in sleeves! During the 5 Day Course, we will get LASER FOCUSED. We will explore knitting and joining sleeves from the top down. After all that practice, you will no longer hesitate to knit sweaters with set in sleeves . 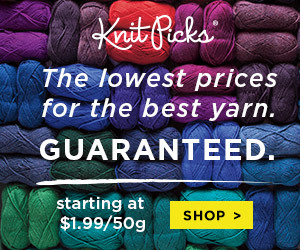 . .
AND you’ll knit sweaters that you can be proud to wear.